Acoustic roots music boiled down to the heart of Americana using instruments from the Mississippi Delta string-band tradition and from a New Orleans street-party. The secret sound that emerges from a hidden city corner. The soundtrack of the speak-easy. Dancing into the depths of a night that never ends and waking up to start again. Newfound joy that reminds you of days gone by. 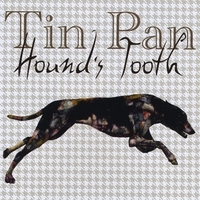 Using instuments from the Mississipi Delta string-band tradtion and from a New Orleans street-party, Tin Pan is acoustic roots music boiled down to the heart of Americana. “I don’t think I’ve had such a pleasurable experience waiting for a train in all my life.